For many of us, our smiles are a feature we’re proud of—maybe even the part of ourselves we like most. Your smile is a distinctive part of your face. We express ourselves with our smiles by showing our teeth and we react instinctually when someone’s smile seems a bit off. Smiles are proved again and again to be critical components of job interviews, dates, and other scenarios in which a connection between two individuals could be created. 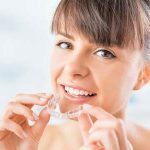 Oral health and the integrity of our teeth is, therefore, much more than just a practical matter—it’s a social one as well. Our culture, after all, is one that centers on aesthetics. For many of us, the way we look is closely connected to the way we feel inside. 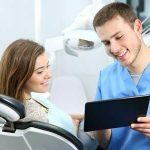 If you need to find a periodontist right away, we can help, check out our periodontist near me search. It can be alarming when we feel as though our smile is in danger of changing as a result of a health matter, such as an abscess. One moment we feel normal, and the next, we’re noticing a swelling that doesn’t seem to be going away. It’s a scary thought that the way we smile, speak, and look may change dramatically. 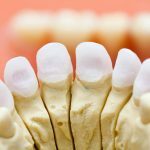 It’s normal to be nervous at this point, and reading up on abscesses and educating yourself about the process of preventing and treating tooth abscesses and gum abscesses can often provide some comfort. 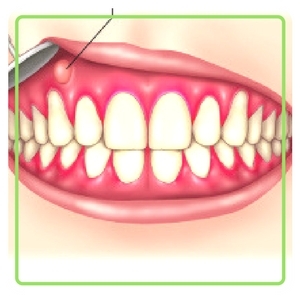 Gum abscesses, or an abscessed tooth, happen when, for whatever reason, your gums, or the soft tissue in the periodontium (damaged periodontal tissue or a periodontal pocket), became irritated through a bacterial infection that causes a collection of pus or something similar that requires antibiotics or dental treatment. The inside of your mouth may begin to hurt, bacteria rush into the area and, before you know it, you’re faced with an infection. The area then swells with pus and the abscess has formed. Creating an abscess is your body’s way of isolating the infection so that it doesn’t spread elsewhere. Periodontal abscesses are one kind of infection in your mouth—periapical abscesses or those that have to do with your teeth are another. What could cause such an abscess? Bacteria are often at fault in one way or another—usually, the infection comes from the pulp of a tooth. This will cause some redness, swollen gums, a bad taste, and inflammation. A gap may have been created in the periodontal area, where the ligament comes apart from the root of the tooth, and often bacteria can accumulate there, causing the abscess. If you noticed signs of an abscess, you should get in touch with your dentist right away, so that you can get an accurate diagnosis. If you’re having any problems with your breathing, you’ll need emergency care right away to ensure your airway remains open. 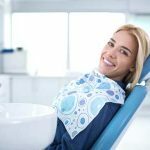 You could also go to your general practitioner in an emergency if you weren’t able to get in right away with your dentist. Your GP would be able to treat the pain, but would not be able to do much about the abscess in general, beyond referring you to an emergency dentist as soon as possible. In the case of periodontal abscesses, there are a few treatment possibilities. A dentist could make a cut in your skin, allowing the pus to exit. You might then receive an anesthetic or another type of pain reliever. For more drastic cases, your dentist would create an incision in the abscess and clean out the remaining pocket, sanding below the gums to discourage bacterial growth there in the future. If you have an infection that keeps coming back, you may be a candidate for surgery, in which a dentist will cut infected tissue from your gums and rebuild your gums’ structure. Natural toothpaste or tinctures can be helpful in the case of abscesses. You can always use a toothpaste and mouthwash that is specifically geared toward gum health or look for natural products with ingredients like turmeric and zinc, which are natural anti-inflammatory agents. 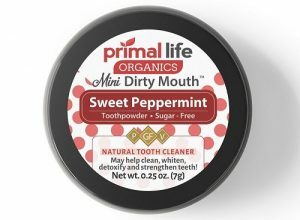 This blend of different oils, including almond oil and mint extract, is great for your teeth and gums. 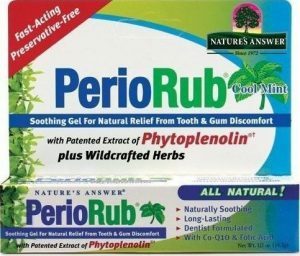 It helps with a variety of issues, from periodontal disease to bleeding gums and toothaches. You can put it directly onto a gum abscess to help with the healing process. Users reported that it did a great job of getting rid of pain and that it was pleasant to use, though some found the taste to be quite strong. 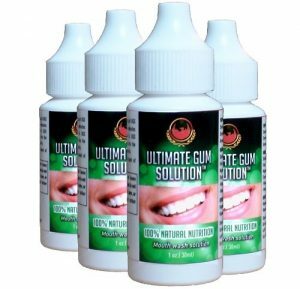 This rub contains echinacea, which helps your gums stay healthy. Just massage the gel into your mouth with a piece of a handkerchief or a cotton swab. This helps your mouth to resist infections. We love this all-natural formula. 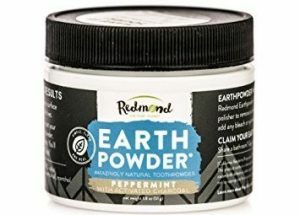 It contains Bentonite clay, non-GMO xylitol, sea salt, activated charcoal, peppermint essential oil, and menthol. We love how this contains minerals that help cleanse and detoxify your gums and teeth so that your mouth stays clean and healthy. The mixture is a blend of a few different types of clay and contains baking soda and oils as well. Some types of this brand are made with monk fruit, which helps the cleanser taste great while remaining free of added sugars. Monk fruit is also a great source of powerful antioxidants known as mogrosides. Often, doing your own research can really help you feel like you have control over gum abscesses. For some, just understanding how these types of issues develop can be great for motivating us to change our oral health routine so that we can begin to take active steps to prevent bacteria from building up. Maybe we’re changing our diets to include less sugar or we’re aiming to eat less starch and fast foods. Maybe we’re resolving to make visits to the dentist a more regular habit. Whatever the changes you’re making, keep in mind that the healthier your mouth is now, the better you’ll feel in the future. Some patients find that keep careful notes on their teeth cleaning and flossing routine can help when it comes to staying accountable. Others stick to brushing their teeth at the same time every day, to make it easier for them to stay on track.